I am not here to advocate for video games, nor am I here to say that video games are bad or addictive. My stance on it is a neutral one. I think that we have a lot to learn from the world of video games because they are everywhere. Video games exist on a range of devices, from smartphones; to tablets; to consoles; to desktop and laptop computers. It is highly likely that today’s younger generation of school students play video games, and that they are choosing video games over other activities (like reading or playing outside with their friends). Rather than seeing video games as the antichrist, a better position to take would be an informed one. It is worth investigating why these games are so immersive, and why so many school-aged children are choosing games over books, toys or company with friends. So are video games addictive? Short answer yes. Long answer: addiction is a loaded word. In everyday language what classifies as ‘addictive’ can range from binge watching the latest season of Game of Thrones, to the intense craving of wanting to smoke a cigarette. In the realm of psychiatry, video games are acknowledged to be a form of behavioural addiction – similar to gambling. However, addiction exists on a continuum and at the extreme end of the continuum, a truly addicted person wouldn’t enjoy playing video games, rather their lives would solely revolve around the game, to the extent that other facets of their lives (family, friends, relationships, work and studies) would be neglected, or even non-existent. That is the ‘true’ clinical sense of the word addiction. 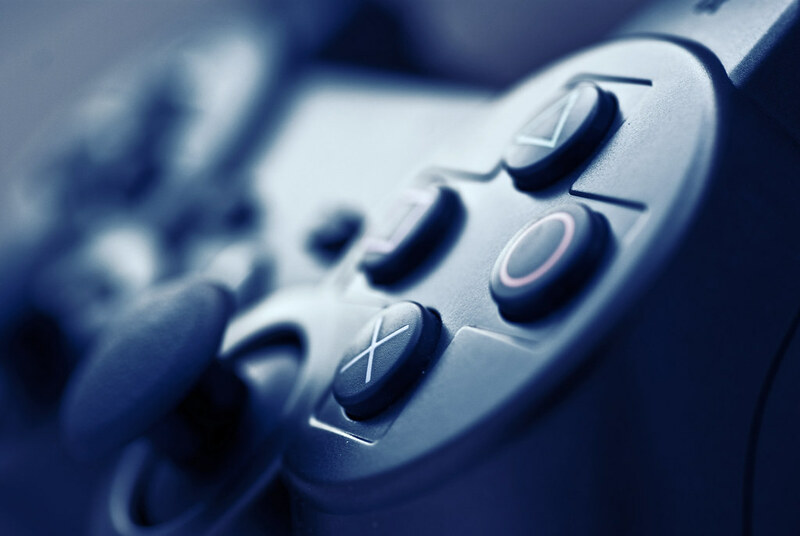 In terms of video games, the empirical evidence seems to suggest that Massively Multiplayer Online Games (MMOGs – which are games like World of Warcraft or Guild Wars) are the most addictive. One of the biggest reasons for this is the social community/obligation that a player feels when they carry a certain level of responsibility in the virtual world. The social aspect is heightened when a person forms an identity in the virtual world. A person who doesn’t fit into society could actually very much fit in, and find his tribe in the virtual world. Having said all that, in a recent book I read by Scott Rigby and Richard M. Ryan (2012), I was captivated by the point that the game system in itself is not to be blamed, at least not entirely. When a person appears to be addicted to video games, the easiest thing to do would be to blame the game. However, it is better to ask: What does the game-world offer that reality does not offer? Moreover, why is the person playing the game, what is the appeal? For some people, a big reason why they continue to play their favourite games is stability. Unlike reality, video games are stable and predictable, a player knows what is going to happen, and he understands what is required to succeed in the game. He knows that with sustained effort, he will level up and earn points. If the game doesn’t offer this, or if the game is poorly designed, to the extent that the mechanics frustrate him (and make him want to throw his controller against the wall) then he can opt out of the game and play a different one (also known as rage-quitting). In the real world, the situation is different – that raise that he was anticipating could go to somebody else, the efforts he put into getting his eight year old to eat vegetables could be extremely futile when he finds out that this kid decided to hide them inside her pockets. There is a level of convenience when it comes to playing video games. Once upon a time, in order to play a game of dodge-ball, it took effort to round up the kids around the block and play a game. Nowadays, you can play virtual dodge-ball with anybody who might be online. Video games are convenient, predictable and social – and these are a few reasons why you may find people lost in a virtual world. The end advice (in the book) was simple: play more video games. Play games to understand that world (rather than to bicker about how ‘addictive’ video games are from a distance). Kuss, D. J., & Griffiths, M. D. (2011). Internet Gaming Addiction: A Systematic Review of Empirical Research. International Journal of Mental Health Addiction, 10, 278-296. Rigby, S., & Ryan, R. M. (2011). Glued to Games: How Video Games Draw Us in and Hold Us Spellbound. Westport: Praeger Publishers Inc. Some time ago, I completed an online course known as Understanding Video Games. I was acquainted with a French sociologist’s definition of ‘play’ and ‘game.’ This particular sociologist is known as Roger Caillois and he talked about two sorts of behaviour states: paidia (playing) and ludus (gaming). ‘Play’ refers to activity that is unstructured, improvisatory and free. Conversely, ‘game’ refers to activity that is goal-orientated, structured and containing rules. Kicking a soccer ball around is an example of play, whilst playing a game of soccer with an umpire, teams, win-states and goals is an example of game. Caillious situates these two terms on a continuum and argues that all human activity exists somewhere on this continuum. This is a response to a friend’s post on gamification, it made me think a lot about what people (outside of academia) think gamification is. So my friend Fiona teaches around the corner to where I teach. She plays video games, owns a PlayStation 4 and is a really good piano teacher. She also wrote about gamification and she used Kapp’s definition in his often cited book The Gamification of Learning and Instruction: Game-Based Methods and Strategies for Training and Education but then, the way she used the term didn’t align much with what I would call ‘gamification.’ Mind you, in terms of definition, Kapp’s book sort of went against the ‘norm.’ He referred to serious (or non-entertainment games) as gamification (which isn’t conventional, if you read his more recent book The Gamification of Learning and Instruction Field book, you will notice that this definition is contradicted. In a presentation I gave last week on digital game-based learning and gamification, I adamantly stressed that ‘gamifying something DOES NOT make it a game!’ I often use the example of loyalty cards. When a shopper goes out shopping, they might take out their loyalty card, which would in turn motivate them to spend. In this case, points are acquired for spending on particular items and when enough points are accumulated, then the shopper can redeem these points for a reward. The game elements in this case include points and extrinsic rewards. Of course, the loyalty card does not make the activity shopping a game, it just makes it ‘game-like’ or if you want to phrase it using the ‘correct’ lingo, loyalty cards gamify the activity of spending. Of course, before I started my Master’s Degree, I thought that gamification referred to learning through games. I also thought gamification referred to anything that had to do with using games in human activity. It seems my friend Fiona thinks the same. I wonder if the general public think the same. I’m going to write more about what Fiona wrote about in a later post because she made me think. I love the internet, it breathes life into (academic) things. In schools, particularly in the case of the classroom learning environment, luck is often something that goes unacknowledged. It is a taboo. And it has nothing to do with success. You get good marks because you studied hard. Although this sort of belief system isn’t necessarily a bad thing, the situation is different in games. Luck is important in games – it exists in the roll of a dice or in the cards that a player is dealt. This element of uncertainty is what keeps us engaged in a game. In recent times, I have come to think about luck and its place in the school institution. As teachers we don’t like to teach the idea of luck, but it exists and it is real. We like to inform our students of what is to come, to make them feel in control of their studies. We design rubrics, and give exemplars for assignments, we generate practice exams and allow the students to do them inside the classroom, in exam conditions, and we do this all in the name of preparation. We want the student to feel like they have a high locus of control, but the reality is a situation that often goes unacknowledged. Certain students are endowed with gifts, natural abilities, talents that allow them to learn things without much effort. Other students have parents who are highly educated, or they may come from backgrounds of great privilege. So should we teach luck? Or should we somehow embed it into our teaching? What place does luck have in schools? When I started my Master’s Degree, I stumbled across this study and it really challenged in the way I thought about games, game design and learning. The study consisted of three experiments, and the second and third ones particularly made me think more about the nature of luck and uncertainty, specifically from a pedagogical standpoint. In pairs, primary school aged children worked together to try to beat the computer in a game of Wipe Out. The children were given multiple choice questions, and if they answered correctly then they were to roll a pair of dice. The results of the dice roll were added and placed on the scoreboard. After the first dice roll, they were given the option to roll again however if they rolled again and rolled a combination containing a ‘one,’ then the points in that round would be nullified. Further, if they rolled a pair of ones, then all their points would be wiped out. The first to reach one hundred points won. In the second experiment, adults were given the same game, however the element of uncertainty disappeared from the game. The dice rolled a pair of threes, and there was less interest or enthusiasm for playing the game in the second experiment. And in a way, this makes sense – the unpredictability gives the player something to anticipate, it allows the player to also feel emotionally involved in the game. Though I mentioned that luck can be associated with social inequality a book chapter that I read seems to suggest that luck paradoxically can bring about player equality. When luck exists in a game, then the untrained rookie still has a chance at winning, and this sort of hope motivates players to keep trying. How has this affected my teaching? I play snakes and ladders with the younger, primary school aged children that I teach (the dice contain symbols of music duration rather than dots though). I also play my own adapted version of Wipe Out in preparation for an AMEB exam. Whenever I design games, I try to be very conscious that good games contain that nice balance of luck and strategy. I’d love to open the question on luck and learning to anybody out there in the blogosphere who might be reading – do you think luck should have a place in the education system? Johnson, S. (2012). Playing the Odds. In C. Steinkuehler, K. Squire & S. Barab (Eds. ), Games, Learning and Society: Learning and Meaning in the Digital Age. New York Cambridge University Press. Kapp, K. M. (2012). The Gamification of Learning and Instruction: Game-Based Methods and Strategies for Training and Education. San Fransisco: John Wiley & Sons, Inc.
Multi-User Dungeons (MUDs) were the precursor to the Massively Multiplayer Online (MMO) games (if you are not familiar with the genre, a typical MMO would be ‘World of Warcraft,’ ‘Runescape’ and ‘The Elder Scrolls.’) Richard Bartle, a professor, game researcher and writer, was a co-creator of one of the first MUDs. In his research he found that the motivations of MUD players could be broadly categorised under four groups: killers, achievers, explorers and socialisers. Killers: Killers are also known as ‘griefers,’ they thrive on competition and like to fight against other players. Explorers: Explorers like to explore the landscape of the game, they enjoy discovering areas, creating maps and finding out about hidden places. Socialisers: Socialisers aren’t really in it for the game, the game is just there as a means to interact with other people and communicate with them. Game designers, and gamification experts will tell you that when they design a game or a gamified system, they will use this paradigm to envisage their audience. The mechanics will reflect on the kinds of players that they wish to cater to, and most of the time, a well-designed game will try to put something in there for all four player types. What kind of player are/were you in the classroom? If you play MMOs what kind of player are you? In the last couple of posts, I wrote about how I gamified my own study habits. In this post, I will write about how I gamified an aspect of my own teaching, and what I learned through this process. In case you don’t already know, I teach piano privately, and I have been doing this for a couple of years. Some time ago, I read about the Hal Leonard 40 Pieces in a Year Challenge, in the Australian Piano Teacher Magazine, and then I stumbled across Tim Topham’s blog. He put forward a very cool idea that involved a coffee-card, for every piece of music that his student learned up, a hole was punched through the card. The goal was to get to forty pieces in a whole year. I liked the idea of keeping a coffee-card to keep track of all the pieces learned. Having said that, I when I read about the coffee-card, I felt like something was missing. I drink a lot of coffee, and by a lot, I mean a lot. When I am inside a café, much of my time is spent rummaging through my wallet, trying to find the correct loyalty card. Coffee is important to me, and free coffee makes me smile. A piano coffee-card without a reward?! What is this madness?! Of course, I know that younger, primary school-aged children do not drink coffee. Still, I had an idea – what if I went down to the local café that I frequently visited, and asked the kind, kind ladies if they would provide my students with free hot chocolates or ice-creams for every ten pieces they learned, much like a normal loyalty card? In exchange, I was more than happy to help promote their business through my facebook page, website and blog. I also already supported their business on a regular basis as my Saturday afternoons were regularly spent there, indulging in coffee and breakfast. After a brief trip to the café, the ladies were kind enough to allow my students to enjoy free hot-chocolates. I put my designer hat on and made a 40 Pieces in a year Challenge Coffee Card. You are probably all thinking now, that is all well and good, but did this work? And is this even gamification? Ten points to anybody who can spot the game mechanics that I used in this particular instance. If you guessed: progress bar, tangible performance contingent rewards and social sharing, you guessed correctly! Have ten points (not sure what you can do with them though…)! The card worked as a way to keep track of how many pieces were learned over the course of a single year. When the students accumulated stickers, they were able to visually see their progress (and show it off to their parents). Since the target audience were primary school-aged children, they would have had to go to the café with another adult (often one of their parents). This in turn meant that they were able to celebrate their achievements with another person. In theory, this looks very pretty, in fact almost ideal. How did reality present itself? In the beginning, many of the children who I taught loved this idea. They would get excited after hearing about FREE HOT CHOCOLATES! What happened when they acquired enough stickers to get their hot chocolate? They asked their parents, with eager pleas – ‘can we go to the café this week?’ They’d come to their lessons with great stories on how lovely the ladies were at the café, and they would talk about how delicious the hot chocolates were. Did this type of eagerness and excitement last when they learned twenty, thirty or even forty pieces? No. Excuses were made, legitimate ones – ‘we didn’t have time this week,’ or ‘we’ve been busy.’ Surprise, surprise, sound familiar? Yes, novelty does wear off, but like I have said before, when novelty wears off, it isn’t necessarily a bad thing. What did I learn from all of this?! Game designers have often spoken about the habit-feedback-loop. Have you ever noticed, that in video games, you don’t need to go to an instruction manual, or even be told instructions in order to learn how to play that game? In the earlier levels, you are taught how to play the game by performing a simple action, it might involve say, learning how to jump, or learning how to shoot. After you learn these simple actions, you get a reward – the level is unlocked and you earn a few points. Then, in the later levels, you learn to use these actions in more sophisticated and complex ways. How do you know you are doing the right thing? Losing a heart, or losing energy alerts you to what you are doing something wrong, while the points, and unlocking of levels would tell you that are you doing something right. You start to get into this habit-feedback-cycle, but giving the same reward for the same kind of task is not enough – we all need more in order to be challenged. What was the point to this whole coffee-card thing anyway? It was never about the hot chocolates, really. It was about practicing music, setting goals and fulfilling them, so bearing that in mind, did the coffee-card system work? Yes, it did. The stickers served as a way to chart progress. Every lesson gave myself, the student (and the parent) the perfect opportunity to pull out the card and marvel at how far they’ve progressed. Having said that, in the future, I do intend to change the rewards around, and to make some of them more relevant to their piano studies. For instance, once a student hits thirty pieces, I had the idea of having them make their own physical CD. In these cases, they would pick five of their favourite pieces, have them polished, and then also have the students write their own liner notes, design their own cover art and get multiple copies to distribute. This should (in theory) challenge them, and motivate them to want to practice more. If you read my post on the highly unscientific, n=1 experiment that I conducted on myself, you probably noticed that many of the rewards I gave to myself fell under this category (tangible and non-tangible rewards). I gamified an aspect of my life by giving myself points for reading journal articles and book chapters. I also gave myself points for freewriting and finishing assignments. These points translated to dollars, and the money I made was redeemable at the end of the week. In this instance, the money was spent on enjoying a fancy meal with a friend at the end of the week. Points, coins and badges are the easiest and most accessible way to gamify something. Having said that, as I said before, just because it’s easy and accessible, doesn’t mean that you should go ahead and stick points, coins and badges to everything. Why do points exist in the first place? More often than not, in video games points are a form of feedback, they teach the player how to play the game. How do you know if you are moving correctly on the screen? If you fall off a height in a platformer, you will probably lose a life. If you do something correctly, you gain points, so points are essentially a form of positive reinforcement. In the world of education, we give out marks. You could argue that marks are much like points in the sense that they are a form of feedback, and they are (often) both numerical. However, the problem with marks in education, is everybody walks into class at the beginning of the school term with an ‘A,’ or if you live in Australia, 100%. Then, assessments are completed, and the 100% starts to become 94% when the student gets 6/10 after they hand in their first assessment. Then the next assessment task is handed in, the student might get 16/20, so their 94% becomes 91%. Points (or marks) are lost and reduced over the course of the semester. It is not about gaining, rather it is about losing. In video games, this is reversed – everybody starts with an ‘F’ (or 0%) and then by the act of playing, points are awarded. This particular criticism of the education system was one that I came across in Lee Sheldon’s book The Multiplayer Classroom. Sheldon took a class on games development in a university and put forward a system where everybody starts with an ‘F.’ A number of assignments or ‘quests’ are implemented over the course of the semester, and if you screwed up in any one of them, you had another chance to redeem yourself. You could gain points through other systems. For instance ‘farming’ was an activity that involved going through and fixing up the typos in a textbook on games. Points were awarded for farming, and farming gave you the opportunity to redeem if you failed (or didn’t score too well) in a quest. I haven’t actually tried this gamified point system, but I do like the idea – what are your thoughts?